Rick Wilder is the frontman for The Mau Maus, a legendary late-1970′s / early 1980′s L.A. punk rock band that recently reformed and released the album Scorched Earth Policies: Then and Now, which includes songs recorded in 1983 with Doors guitarist Robbie Krieger and new recordings from 2011. This interview was conducted for a preview article for the upcoming Mau Maus show on 7/22/12 in Santa Barbara. It was done by email, with answers received on 7/3/12 – the 41st anniversary of Jim Morrison’s death. Rick Wilder: Punk rock insurrection meets nuclear horror show circus… this is the re-ignition of the most storied and certainly the most notorious of the original wave of LA’s Punk Rock Explosion. In essence, you will get to experience THE prototype of raw Power/Punk bands. JM: Can you tell us a bit about the rest of the band that will be joining you? RW: This isn’t a band, it’s a well oiled Chaos machine. On bass is Scott “Chopper” Franklin of Cramps/Charley Horse note, Michael Livingston of the Livingstons and Paul “Black” Mars former LA Guns frontman. JM: Have The Mau Maus ever played in Santa Barbara before? RW: No, unfortunately back during the late ’70′s early ’80′s, having been banned by much of the venues in southern California (due to police pressure), it was difficult to book out of town shows due to our reputation. It was hard to fight the power when the bottom feeders were in charge of the food chain. 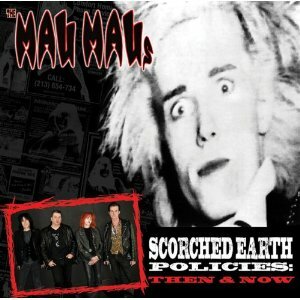 JM: How would you describe The Mau Maus’ place in the L.A. punk rock scene back in the day? RW: Let’s just say, we are still that band, literally, that to a great extent, initiated and played the eye of the Hurricane, Ground Zero of the Western North American Punk Rock Movement. I am referring to the original Masque in Hollywood. What’s ‘our’ place, from where I’m standing, we’ve been told we own it. We may have had the lifestyles of Gypsy Pirates and especially, this line-up. We are the Jesse James/Cole Younger gang of that Wild West shoot-out. I personally, am made w/ the fact this band never & I mean never sold out. 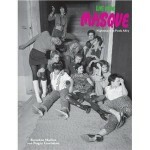 JM: Back then, did The Mau Maus play much outside of the L.A. area, and if so, did the audiences get it? RW: One has to take in to account, there was no internet. The closest we came to getting the word out were the fanzines, like ‘Flipside’, ‘Back Door Man’ or the independent music mags, chiefly ‘Slash’. So, having said that, it was not a rural thing. It was an urban thing. We played where the virus was breaking out, like San Francisco. Plus, to be fair, not only our lifestyle but the overall perception of the ‘Punk’ life style was against us. JM: What were/are the goals of The Mau Maus, both “then” and “now”, and have they been achieved? RW: Our goal: Reach for the stars even if you find yourself in a gutter. ‘Per ardua, ad astra’. Roughly saying ‘through difficulties to the stars’. Don’t matter where you start, it’s where you finish, and don’t compromise who you are. On achieving it, thanks to this release, I feel like well at least now it’s out. And they can’t take that away from us. We bloody well outlasted the bastards (most of the offending record companies). However, I can’t speak for the others, but I’d like to get what I consider our due. But, now it’s looking better and it’s still a work in progress. JM: The new Mau Maus release includes tracks recorded in the early 1980′s with Robbie Krieger. How did you end up working with him, and what did he bring to the music? RW: We have mutual friends in Paul Picasso, who set up the recording. This is punk rock ‘n’ roll, so he definitely brought something to the rock ‘n’ roll end of it. JM: The Mau Maus recorded with Robbie Krieger, X recorded with Ray Manzarek… Why do you think that the former Doors were so receptive to punk rock? RW: They were working w/ a singer that wasn’t necessarily a punk rock type (a la Iggy or the New York Dolls) but he was a rebel, so it’s natural they’d be attracted to this sort of music. JM: Do you want to set the record straight on anything related to The Mau Maus, the L.A. punk rock scene, etc? RW: Well, one problem we’re running into with the internet and other media outlets is the band out of the UK called Mau Maus. 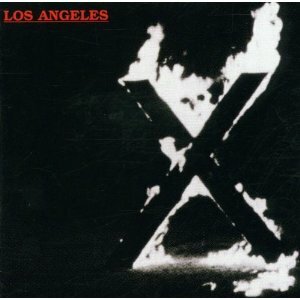 I went to London in 1978 and spray painted our band name everywhere, and then this band came out a few years later hijacking our name. 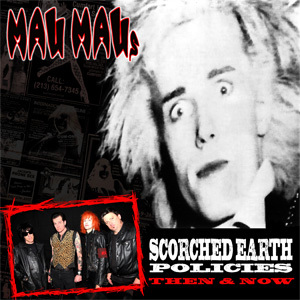 So when searching out our music, the only record we have that is true Mau Maus is “Scorched Earth Policies: Then & Now” on Ratchet Blade Records, anything else is not Mau Mau Approved!